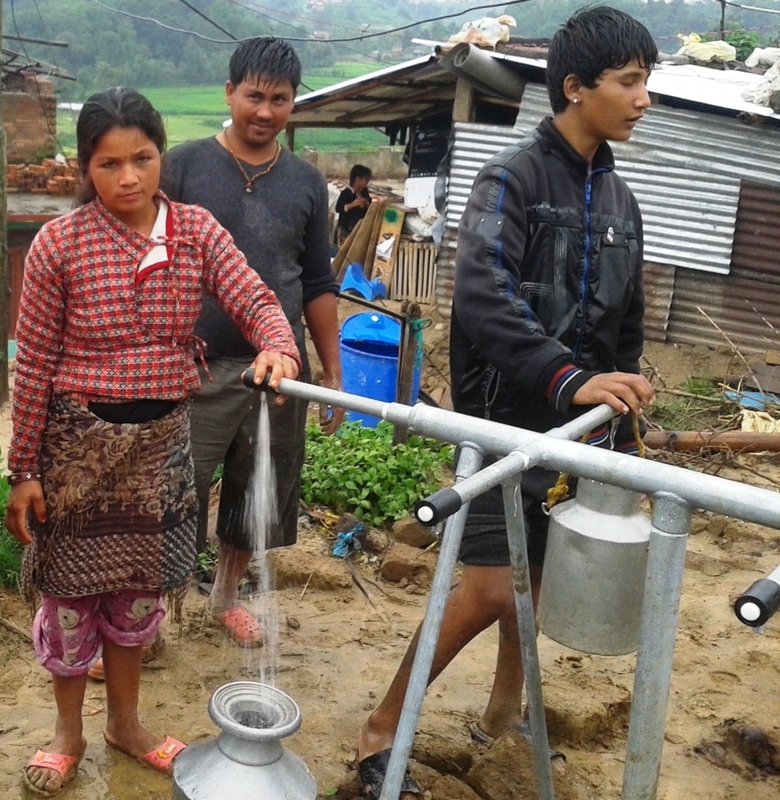 FSCN in partnership with various national and international organizations have successfully completed more than twenty WASH projects in different districts of Nepal. One of the innovations of FSCN is facilitation for establishment of first ever WASH cooperative in Nepal which is in Rupandehi district. From our initial observation and assessment after the earthquake, we came to knowthat drinking water supply of some earthquake affected communities of Lalitpur and Bhaktapur districts were damaged and the people were having scarcity of drinking water. Our technical team was deployed for feasibility study, detailed engineering survey, cost estimation and preparation of action plan for ensuring availability of drinking water in the affected communities. Thereafter, on the basis of reports of technical team, the detailed proposal was prepared and submitted to the concerned partner for further process to launch reconstruction and maintenance works. With the prime objective of facilitating safe and hygienic household latrines for the earthquake affected families, FSCN has supported 1040 households of Bhaktapur and Lalitpur districts for the construction of household latrines. Due to the earthquake, many school latrines were also destroyed and the students and teachers would face a difficult situation if the toilets were not reconstructed/ renovated. In order to mitigate this problem, FSCN supported construction/ renovation of 13 schools of Bhaktapur and Lalitpur. Three community schools of Bhaktapur and 10 community schools of Lalitpur were supported under this program. The detail of the school latrine construction is listed below. During the time of emergency, it is very important to maintain personal hygiene in order to prevent various types of contagious diseases. Therefore soon after the disaster, FSCN distributed hygiene kits to the earthquake affected families of Bhaktapur and Lalitpur , which was supported by DCA. Each hygiene kit contained 10 hand washing soaps, Two laundry soaps, One large bucket, One mug, One water container, Six bottles of water purifier, Four pieces of sanitary clothes, Two pieces of ladies innerwear, Four baby diapers, One torch, batteries, One hygiene bag and Four packs of ORS. After few days, FSCN conducted hygiene kit replenishment program and distributed additional items (6 tooth brush, 2 toothpaste, 6 bottles of water purifier, 10 hand washing soaps and 2 laundry soaps) to those households. Altogether, 1874 households (1043 of Lalitpur and 831 of bhaktapur) were benefited from this program. The earthquake affected community people were made aware of the importance of hygiene and sanitation through various Hygiene Promotion Activities. Special trainings and discussion/orientation were organized for women, school children and teachers.